I’ve seen tens of thousands of electronic gadgets. Back when I worked for that big retail electronics store, I saw cool, new stuff every day. Computers. Game systems. Televisions. Stereo components. I loved seeing it all because I would imagine all the things I could do with them. I pictured how much better my life would be if I had that new gadget. As much as I geeked out over how much RAM something had, or what kind of video codec it could play, that wasn’t what what really mattered. It was really about what I thought that new gadget could do for me. You see, what I found working in retail was that people don’t want to read spec sheets. They want to know what it can do for them. 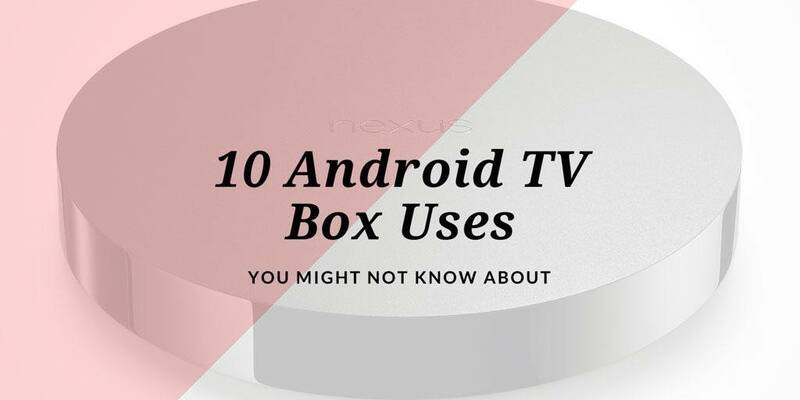 So in this article, I’m going to show you some of the Android TV box uses and benefits that you may not have thought about. Things that, once you know about them, you’ll wonder how you ever got along without them. I’ll start with the easy one. This is probably what got you thinking about a TV box in the first place. Whether your content is streaming or local, the main thing you’ll want to do with a TV box is…well…watch TV. Recently, I found out that 58% of you reading this site get most of your content from streaming, rather than using the content that you already own. Think about it. You’ve got a lot of DVD’s and Blu-ray movies sitting on your shelf at home. It doesn’t matter whether you use Kodi vs Plex, or anything else for that matter, your Android TV box will let you stream the content that you’ve already got. I’ve been a cord-cutter for over a decade, but the first “cord” that I cut wasn’t a cord at all. It was radio. Over-the-air radio always frustrated me because it played the same ten songs over and over again each hour, in between about 20 minutes of commercials. I tried Sirius-XM radio, but I never got hooked on it. It always felt expensive for what I got out of it. I wasn’t exposed to anything new. My music collection got stale. I’m sure you’ve heard of Pandora and Spotify. They’re premium (or freemium) streaming services which let you customize your music tastes while still getting exposure to new music. But did you know that Google offers the same service? I switched from iTunes to Google Play Music a few years ago. I still have access to all the music that I own – Google keeps a record of what songs I have and I can play them anytime, on any device. I also get custom channels of music that I can play anytime. One of my favorites is the “A-List Soundtracks” which is great when I’m at work and need music without lyrics to help me concentrate. With access to thousands of new songs, as well as TV shows and movies, maybe we should start calling it an Android media box instead? This is one of my favourite Android TV box uses, honestly. If you’ve been following this site for any length of time, you’ve probably heard me say that I’m originally Canadian but now live in the USA. For years, it was really hard to get access to any Canadian broadcasting. I would have to get news podcasts through iTunes, and some video content through cbc.ca or tsn.ca websites. But I could only see them on my PC or laptop. Now, there are plenty of official international apps to let you watch TV on android box. And it’s not just limited to Canadian content either from CBC. There are apps from the BBC, ARTE, NHK and many, many others. No matter where you live, there’s an app to make you feel at home. Remember the digital picture frame craze a few years ago? They were THE hot item because suddenly you could give mom or grandma a rotating supply of hundreds of pictures of you and your cute puppy. Hopefully grandma’s still using it. I know I’ve given digital picture frames to my parents and they’re now sitting in a box in the closet. Digital photo frames may have had their day in the spotlight, but that doesn’t mean that we don’t still want to see our pictures. What you can do is use Daydream mode to show either specific albums or your entire collection of photos on your big screen TV. For more active viewing, you could plug a flash drive into one of your video ports and flip through pictures with friends. If you wanted, you could even load an album full of undersea pictures for a “no-maintenance” aquarium or even a fireplace scene for the holidays. Cheesy, I know, but Netflix has entire channels dedicated to that kind of thing. Somebody’s got to be watching them, right? Surfing the Internet on a TV remote isn’t much fun. Even if you have an airmouse, the experience can be more frustrating than anything else. The stock Android TV box browser is..well…it’s pretty bad. But, most TV boxes will let you upgrade that basic browser to Google Chrome. With your Google account, you can choose to sync your bookmarks from your PC or phone to any device that you sign in to. So if you have sites that you visit frequently, you won’t need to type them in to your TV box every time you want to visit them. If your remote has a voice search command, you can even jump straight to the webpage without typing anything in. One caveat though, at the time I write this, you can’t get Chrome on an official Android TV device like the NVIDIA Shield or Google Nexus player. Sorry. YouTube: Making it easy for people to waste incredible amounts of time since 2005. It’s a little scary when I think about how much time I’ve spent on YouTube lately. It’s all because I can get it in full HD on my living room TV with my NVIDIA Shield TV. Watching Jimmy Fallon or Stephen Colbert on my living room TV is a great way for me to relax after work. The official apps are available on every Android device, but getting 1080p or 4K could be a challenge. It doesn’t work on every TV box, but there are a select few that will let you stream Netflix and YouTube in 4K. The rest will be limited to standard definition because of limitations that Netflix and YouTube put on the devices. If this is a big thing for you, make sure that your device is one of them. HDHomerun is one of the coolest gadgets I can think of. They are making it easy for cord-cutters to still get access to their local live TV channels without having a cable subscription. And they’re doing it with a new twist on old technology – antennas. Remember antennas? If you’re older than a certain age you might remember a pair of rabbit-ears on the top of your parent’s old TV set. The quality was iffy at best, and you needed a different antenna for each TV you had. If you plug an amplified antenna, like a Mohu, into your HDHomerun, then suddenly you’ve got access to all of your local channels. HDHomerun plugs directly into your home network, so any device can access it – even your tablets and smartphones. 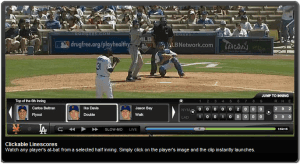 For more, check out my article on how to stream live TV with HDHomeRun. Just because you broke up with your cable company doesn’t mean you have to miss out on live sports. Live sports is one of the biggest cash cows for the cable networks, so they’re jealously guarding access to it. But, it’s not as locked down as it used to be. You can get official apps like WatchESPN, CBS Sports, NHL Center Ice, MLB.tv, UFC.tv and many more. I have to warn you, they’re not free and some are still locked down behind a login from your cable provider. But, if you’re resourceful, there are still ways to get your live sports fix without a cable TV subscription. FuboTV has a ton of live sports. Check out my FuboTV review here. If you’ve got a small business, are you still playing a cheap video loop on a DVD player? That DVD loop plays like a bad commercial from the 1980’s. Is that the image you want to give your customers? Digital signage is everywhere lately. 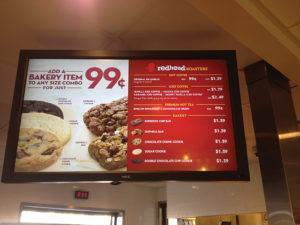 You can’t even go into a Wendy’s or Target without seeing menus or interactive video loops that grab your attention. If you’ve been thinking about giving your business a little marketing upgrade, then here’s how to do it. Your Android TV box can serve as a basic digital sign player. It doesn’t have as many features as a commercial-grade digital signage player, but it’ll let you try it out and see if it’s right for you and your business. Gaming on Android TV box? Everybody loves playing games. 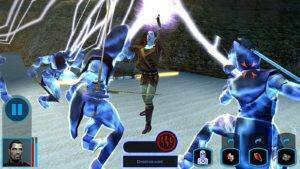 Over the past few years, gaming has shifted from the intense, massive games on a Playstation 4 or Xbox One to more casual games that you can pick up and put down whenever you have time. Casual gaming has taken on a whole new life thanks to games like Angry Birds (remember that one?). Your Android TV box can play any game that your smartphone or tablet can play. Asphalt 8 Airborne takes on a whole new life when your screen is 60 inches and not 6 inches. If you’re looking for more intense games, then you should be looking at the NVIDIA Shield TV which not only has it’s own library of great titles, but it can stream games from your Windows PC. Imagine leaving your PC in the bedroom while you’re playing on your living room couch. More Android TV box uses? How do you use your Android media box? Have you come up with other great uses? Leave a comment below and share it with us! I use android boxes for the obvious like kodi and plex but also my personal music library which is huge, as a mini computer, but also to watch xfinity, direct tv, netflix and hulu amoung the apks for movies like showbox not in the playstore. Its niceto not rent cable boxes etc but every tv in the house has its own access and my parents get dish so the letme use their log in credintials to use that as well and then we still keep netflix and play games as well as for youtube and at times my wiceuses for facebook. Uses are truly endless and if you are willing to spend the money up front at a one time cost you can have DVR etc and still save a ton of money in the long run but i fear kodi is in for some big changes in the wrong direction soon all over the all mighty dollar which is what the foundation was built against ajd even now certain devs are charging. Thats a whole new topic but inevitible so im putting hours into my own build that will hopefully get me by for so e time but there are of course so many mediaplatforms similar to kodi popping up so hopefully some will maintain the free aspect. Thanks for all your artiicles, i enjoy them even though many are covering the basics and i say that with respect, you know your stuff ajd its good to see you explain the basics so well, and your more in depth articles are very imformative as well. Take care. I am going to call this posting “My Android TV Box Journey”. It will be quite long since the journey has been quite interesting. I have often heard the term “cord cutter” used on many different web sites without really understanding what that term meant. Does it mean dumping cable AND antenna TV altogether and depending entirely on the internet for all of my TV viewing? Or does it mean just dumping some stuff? I decided to find out. I went online and like every good online shopper reviewed lots of different Android TV boxes. I finally settled on an MXQ Pro + Android TV box from a company in China and when it was finally arrived, I was of course excited to get started. After all, it had all the right spec’s. That excitement lasted for about 20 minutes after I plugged in the box. Little did I know what I was in for. First almost nothing worked as advertised. The box crashed frequently and wouldn’t update Over The Air [OTA], Google Chrome was 20 revisions out of date and couldn’t be updated. And Netflix wouldn’t work at all. And of course access to the Google Play Store was impossible. What a huge letdown. It quickly became apparent I had made a big mistake and had much to learn. In hindsight what I should have down was to spend another $50 bucks or so and purchased something on Tim’s list of reviewed TV boxes. As they say – live and learn. But after a few days of research and study I learned there are things called “firmware” updates for Android TV boxes. So I emailed the distributor of my box and they in turn contacted the manufacturer who basically offered no help at all. This of course forced me to depend on the internet. I hate to say this since I rarely ever bad mouth an operating system but Android is one of – if not the most – fragmented operating systems in the world. Anyone who believes they are an Android expert can create firmware updates for Android TV boxes. There does not seem to be a central repository for approved Android updates like there are for Windows and Apple devices. Unless you are quite knowledgeable, you can end up making some huge mistakes. Does bricking your TV box sound familiar to anyone. I was finally lucky enough to find this site and the work come to depend heavily on Tim’s work before I made too many mistakes. I encourage anyone considering a TV box to sign up for his newsletters. Your learning adventures will be much less complex and will save you many hours of staring at your computer monitor, LOL Anyway my Android TV box finally started working, sort of, after I updated the firmware. It still reboots [shuts down and restarts] every once in awhile for no apparent reason. However at least now, I am actually able to watch some internet content on my big screen TV. My next step was to learn what was really available on the internet to watch. So for the next 2 months I scanning the net, installing lots of different versions of programs from many different sites. I learned some new terms like repositories and the differences between zip and RAR files. And I certainly ended up learning how to quickly reload, reboot or reinstall Android on my box. But I also quickly learned there is a whole bunch of software out there that seems to exist for no other purpose than to make our lives a little more difficult. My advice to any newbie is to stay away from ANYTHING that seem to be to good to be true since it usually is. So what did I learn. I have still have not cut the cord because not every channel I frequently watch on my satellite box can be found on the net – or at least I haven’t found them all yet. And you need a really good solid internet connection for good streaming and what I mean by that is this. An advertised speed of 7 MB/s on DSL or 50 MB/s on Cable is not a very valuable measurement tool for determine the type of success you are going to have. They are at best indicators. For example, a good solid 7 MB/s connection with low latency and excellent connectivity with data compression implemented will almost always get you a good 720p stream or picture. By the same token, a 50 MB/s Cable modem connection may not even get you a good steady 720p picture at times. This is especially true if you are sharing your cable line with lots of other people, have a high latency connection or someone decides to do their monthly business analysis when you want to stream a movie. My advice is to call your your local internet service provider and have a chat with them about your specific service before you start. However, even if you DO have a good 50 MB/s Cable connection that doesn’t mean what you want to watch is going to work well. Some sites never seem to check their links to some of the sites available on their servers. Others seem to do a pretty good job. To me internet streaming at the moment is pretty much a hit or miss situation depending on WHAT you want to watch. 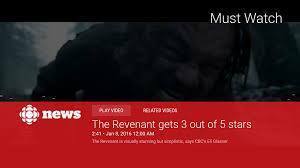 If you just want to watch a movie you will most likely will be able to find a site to stream it from by clicking around. However if you want to stream a soccer match from England – you may or may not be successful. I have also found that some sites use data compression and other do not. Those that do not use compression tend to buffer more frequently than those that do use compression. I have yet to find a way to tell WHO is using what. So do I feel like I can cut the cord today – nope don’t think so. Internet streaming technology is just not quite there yet – at least for me. There are several channels on my cable box that I watch frequently that I can’t find on the net. Also the fragmentation of Android seems to make such a transition seem a long way off. Just about the time you achieve a stable operating system using Android, Google decides to offer up a new operating system that may or may not be compatible with your specific TV box. However, if you are the type of person who just wants to watch a movie or something for a couple of hours before bedtime, then an Android TV box might work out well for you instead of a $70-$120/mo cable bill. Hi Tom. Thank you so much for that super-detailed post. I truly LOVE hearing stories like this. My first TV stick (TV boxes hadn’t been made yet) was similar to yours. It was a nightmare to set up and get working, but I still saw the potential in it. Was it a finished product like a Roku? Not even remotely close. Would it pass the “wife test?” Nope. I would have been on the couch for weeks. But, I learned from that model, and that gave way to helping people just like you not make the same mistakes I did. Basically those two things led me to one conclusion: Not every TV box is created equally. I’ve become much more selective with the boxes that I choose to spend my time on. I urge you not to give up. Keep playing with the boxes you have – both the Android box and the Windows 10 box. Keep learning. And above all, keep sharing your journey with us. I love hearing stories like yours. Thank you for the feedback Tim. It has been an interesting journey and it isn’t over yet, LOL. You know that random reboot issue I was having? Well with a little experimentation I may have solved that problem. I cut an opening in the bottom of the case and installed a small fan on the bottom. I always felt the box ran really hot after a couple of hours of viewing. I powered the 12 VDC fan off of one of the 5 VDC USB ports with an old USB cable I had laying around. As you can imagine the fan turns at a slower than normal speed which makes totally silent. The unit now stays near room temperature. Since installing the fan, the box has not rebooted once. Now I am not going to say that overheating WAS the cause of the problem yet but the operational data is beginning to point in that direction. Also I forgot to mention a really old TV box and by today’s standards it’s really slow. It is my old first generation Roku 2 box. When it was new and well supported, it just worked flawlessly. Even today it still plays Netflix as good as any other device I own. Roku in my opinion is a well designed and functional product. I will keep you posted on my progress from time to time. Hi Miklo. Believe it or not, Android launchers have come a long, looooong way since my first review back in 2013. Honestly, I’m surprised I kept playing around with them. 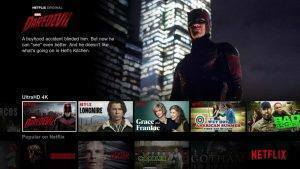 Most companies now try to make it as much like the official Android TV launcher or as much like Netflix as possible. Not that that’s a bad idea, but I think we’re going to see less and less of the Android OS in the future as it gets buried underneath more user-friendly skins. I’ve been interested in Android box/stick since struggling with the Logitech Revue for three years before finally giving up. I’m glad I found your website before dipping my toes back in with the budget MINI MXIII. I’ve been trying to think of different uses for this Android box too. I use my Android box as a always-on SAMBA server to share music, pictures, files and to serve as a backup repository for my other devices. I also use it as a music jukebox, however the music gets cut off when the TV is turned off. I worked around this by transmitting music to a bluetooth dongle which outputs to the AUX input of my audio amplifier. The Android box can remotely login to my PC (although I need to figure out how to set up wake-on-lan). Since my PC broke, It is currently my PC. I would like to get some automation going so that it can control my house and set up a camera to monitor my home. Overall, I’m 85% happy with my Android box. One thing that annoys me is the mouse once in a while dissapearing when I turn on my monitor.